Independent Kitchen and Bathroom Designer Susan is a fully qualified kitchen & bathroom designer who can help you realise the perfect solution to your renovation. Expert advice on all aspects of the renovation and detailed documentation is provided. Innovative ideas to maximise storage, benchspace and style that will match your home and your taste. You can use your own builder or cabinetmaker or Susan can organise quotes for you on the project. Smith & Smith Kitchens is a family business. It started out as an interior design company in 1976 and has been trading under the Smith & Smith name since 1982. As such, Smith & Smith has many years of kitchen design and renovation experience. 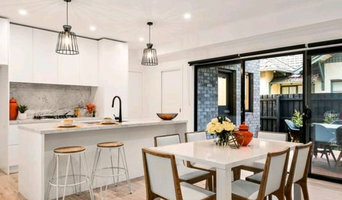 Smith & Smith’s enviable reputation has been built over that time, along with many thousands of beautiful kitchens gracing homes all over Melbourne. Our loyal staff is a testimony of our commitment to quality manufacturing and quality management. Building high quality kitchens at reasonable prices with an unmatched drive to ensure customer satisfaction has been the corner stone of the success of Smith & Smith. With service unequalled in the industry, it is not surprising the business has played such a large part in Victoria’s recent renovation history. Smith & Smith have invested millions of dollars at the Rowville factory, in Melbourne’s south east which now has some of the latest technology available to help produce bespoke Australian made, precision cabinetry at competitive prices. In combining high tech wizardry with old fashioned craftsmanship Smith & Smith have found the ideal solution to the age old problem of obtaining value for money. Family run and owned, our heritage in kitchens is long standing since 1946 in fact. Four generations have been involved in design and manufacturing of kitchens. What started as a small factory has now grown to a very large manufacturing plant. Our continual research and sourcing of quality products in Australia, U.K. and Europe ensure we stay at the front of both developments in styles and production techniques to provide sophisticated, cutting edge quality kitchens for the Melbourne market. A Zesta Kitchen is uniquely designed using our world class design technology so you can see your kitchen in real life. We believe in excellent quality and On Time Kitchen Renovations to provide customer’s exceptional service to suit all Melbourne kitchens. Our one-on-one kitchen design attention from the Showroom to our professional in-home Kitchen Designers and finally to our approved installers and trades who will arrive on time and clean up after themselves will provide your final unique kitchen designed for your lifestyle. We know our customers are happy as they tell us through our customer research with a 98% satisfaction rate. Customers also tell us that our trades were a delight to have in the home and in fact go on to use them again for other electrical or plumbing work in other areas of their home. There is a reason why we excel in the kitchen industry it’s simple, provide a top quality product at affordable prices delivered on time all backed by service and 10 year guarantee Three gorgeous showrooms located throughout Melbourne in Cheltenham, Nunawading and Richmond displaying high quality designs suitable for a new-look kitchen renovation or a completely modern kitchen design for your home, we can cater to all needs. Complete Kitchens is Melbourne's leading & award-winning kitchen designer & renovator. Founded in 1978, our company is one of the most reputable design and manufacturing companies in Victoria. Our showroom at 1378- 1380 North Rd Oakleigh South is the ideal location to source design ideas . With a large range of hardware, different materials and finishes on display throughout our twenty cutting-edge kitchens, you are certain to find the products needed. Not only do complete kitchens design and manufacture kitchens, we can also accommodate all of your joinery needs. BBK provides its clients with a personalized design and construction service which offers a complete full circle solution to your bathroom and kitchen renovation requirements. We will handle the design and construction and provide our clients with a finished space to the highest standards. Our team will work closely with our clients to ensure each project runs seamlessly and on budget. BBK has a strong emphasis on communication as this is vital to maintain long and lasting relationships with our clients. Made In Italy is Melbourne's exclusive distributor for Italian kitchen brands. We offer a diverse range and versatility for all your kitchen needs - from finishes, systems and various options for benchtops. We provide a design service and we either work directly with you or in tandem with interior designers and architects to build the kitchen to their exact specifications. All we need are your plans or measurements to start the process with an initial design, followed by liaising with our team in Italy to make sure when the kitchen is installed, it fits to the millimetre. Designs are prepared with a collaborative approach, which involves both the designer and the client in order to create a unique and personalised solution and achieve the optimum result. 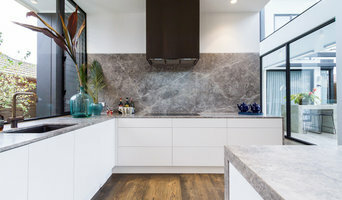 We strive to accommodate the unique requirements of all our customers, to provide the ultimate kitchen living experience and to enhance the home now and for years to come. Whether you prefer classic styles or current trends, the options and combinations are endless, but most importantly everything is built to last a lifetime. The kitchen may very well be the heart of the home, but we bring the soul. This is Made in Italy, a combination of function and beauty through design. Established in 1972, Let’s Talk Kitchens & Interiors, designs, builds and installs cabinetry for any room in the house. Kitchens have been our speciality for 45 years, but we're not limited to that sole room. We also design & build laundries, bathrooms, walk in robes and any other room requiring cabinetry. We are also an interior design firm (Licensed and Registered Building Practitioners) and able to assist in the design of domestic interior renovations as well as the construction and project management of those types of works from start to completion. Kitchens by Matric design, manufacture and install high-end kitchen, bathroom and laundry cabinetry. With over 50 years combined experience, the family business consistently produce beautifully tailored spaces - utilized to their entirety. Using only the finest of materials, Kitchens by Matric deliver stylish and durable kitchens that range from contemporary to french provincial, hampton's to industrial. The Kitchens by Matric factory in Melbourne is where design meets creation. The team of expert designers and experienced cabinet makers work together under the same roof to ensure a seamless customer experience from concept to completion. Kitchens by Matric's designers focus on both aesthetics and functionality to ensure they create a unique space that you and your family will love years in to the future. 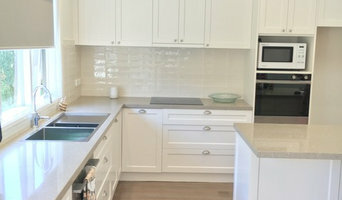 There are many types of kitchen professionals in Ormond, Victoria – from cabinet makers, to carpenters and interior designers – and many trade professionals offer a full suite of expertise. Depending on the size of your kitchen renovation, and the kitchen designer, they may also hire contractors on your behalf and manage the project from beginning to end. Here are some related professionals and vendors to complement the work of kitchen & bathroom designers: Kitchen & Bathroom Fixtures, Appliances, Tile, Stone & Benchtops, Joinery and Cabinet Makers, Carpenters. 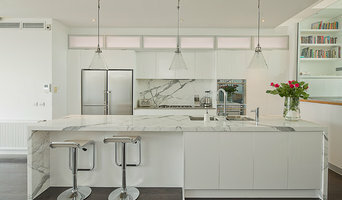 Find an Ormond, Victoria kitchen designer on Houzz. 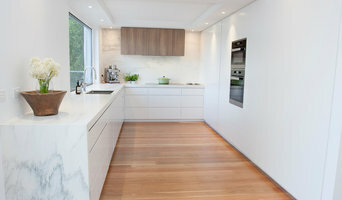 Browse the Professional section on Houzz to find kitchen designers in Ormond, Victoria. Then, scroll through photos of their latest kitchen renovations and see how their work compares to the scope of your project. You can read reviews to see how other homeowners rate their work, and message them directly to to ask any specific questions.